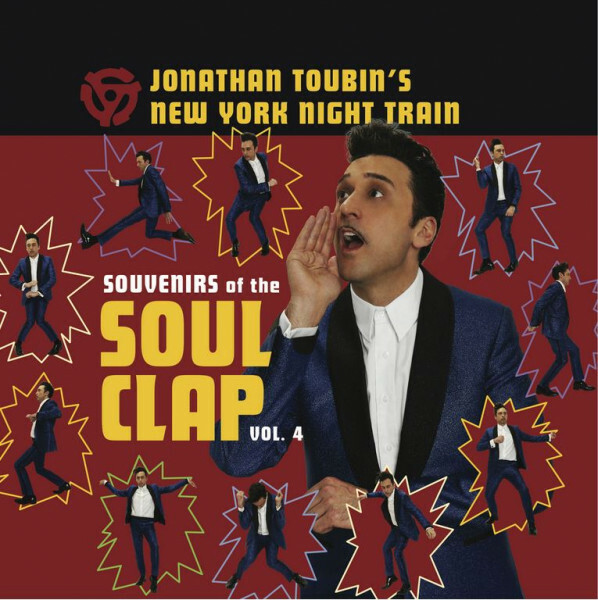 Dig two big new volumes of SOUVENIRS OF THE SOUL CLAP, delivered by internationally famous DJ Jonathan Toubin! 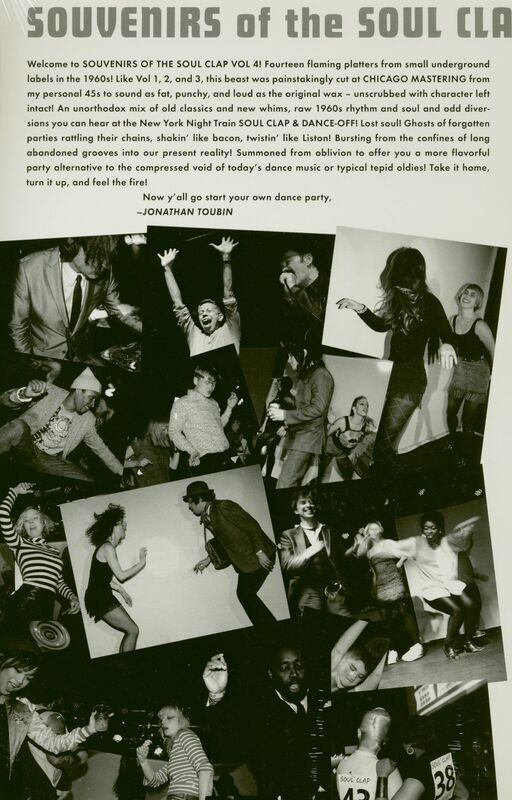 The first two volumes set the dance frenzy world on a tiltawhirl, redefining "Northern Soul" as "Norton Soul"! Just kidding, Anglo-Saxons, we loves ya! So here are two more gigantic sets of floor fillers that spell INSTANT PARTY whenever the rubber meets the road! Customer evaluation for "Souvenirs Of The Soul Clap Vol.4 (LP)"